The G&G project partnership is strongly interested to widen the group of institutions, schools, VET centres experimenting and using the G&G tools and the methodology. 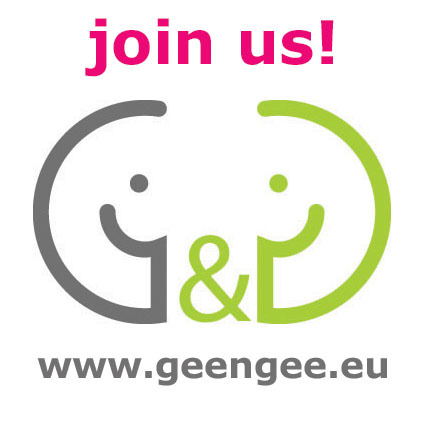 if you live in a country whose language is not covered by the G&G project’s partnership, ask to join the G&G project "extended partnership". The candidature, if approved by the G&G initiative project partners, should imply the interest and commitment by the new partner to translate in its local language the web pages of the G&G website, the materials developed for the Gym’s training units, the grandparents and grandsons manuals. The "extended" partner will take advantage of a support by the G&G projects experience, receiving instructions about how to organize G&G activities, the authorization to use the official freebies set developed, hints and support for the promotional activites necessary to launch and organize G&G activities in their own country, access to the on-line community archives and forums.